The 2018 Chevrolet Malibu is a vehicle designed to make you feel like royalty in the concrete jungle. With two great engine options and a wealth of excellent performance features available, the new Malibu is perfect for those that want more out of their daily commute. Continue reading to learn more! 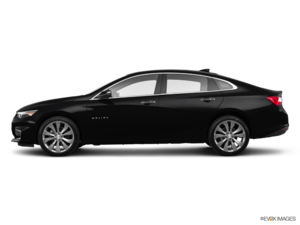 As mentioned above, the 2018 Chevrolet Malibu has two great engine options available for you. The first of which is an available 1.5L Turbo Engine, which offers a blend of power and efficiency. This engine can output 163 horsepower and 184 lb-ft of torque, while also getting an EPA-estimated 36 MPG highway and a maximum range of 560 miles per tank of fuel! The second engine available is a 2.0L Turbo Engine, which is designed for those that want exhilaration. With the ability to deliver 250 horsepower and 260 lb-ft of torque, this engine offers plenty of power for you to enjoy and all without sacrificing fuel efficiency. This 2.0L Turbo Engine is also capable of achieving 32 MPG on the highway, just a little less than the previously mentioned 1.5L Turbo! In addition to its powerful engine options, the 2018 Chevrolet Malibu also has a wealth of great performance features, such as two excellent transmission choices! The first of these great transmissions is a 6-speed automatic, which offers smooth-shifting and excellent performance when paired with the available 1.5L Turbo Engine. The second transmission option is an available 9-speed, which is paired with the 2.0L Turbo Engine and offers quick and seamless gear shifting. These are just two of the many great performance features that the 2018 Chevrolet Malibu has to offer, with others including things like Superior Suspension and an Electronic Power Steering, for better handling. So, if you’re looking for a vehicle that is designed to make you feel like a king or queen, no matter where you go, then look no further than the 2018 Chevrolet Malibu. For more information, or to take it for a test drive, contact us at Lanoue Chevrolet today!